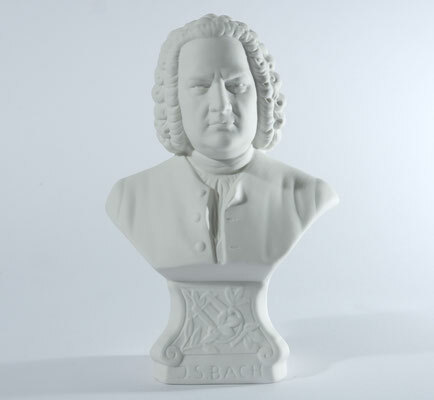 The Bach bust, better the Bach bust from „Bach 4 You“. 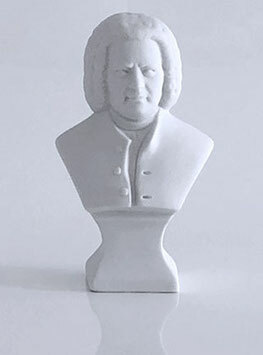 It’s always the same situation … you have an imagination or a desire and you are excited, if you find it. 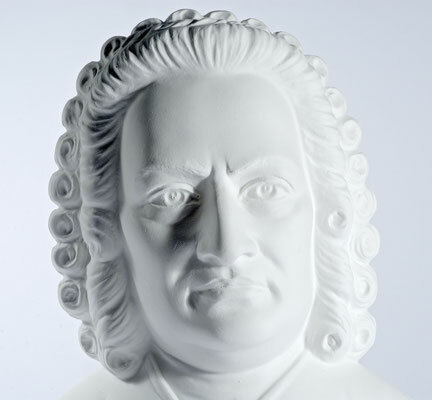 Back then at all, today with the help of Google. 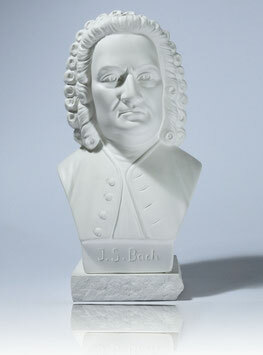 And this is the same with the Bach bust from gypsum and – much nobler – from alabaster gypsum. However, who actually knows, that there are many Bach busts around and some Bach busts are looking ugly and others are really hefty ugly. 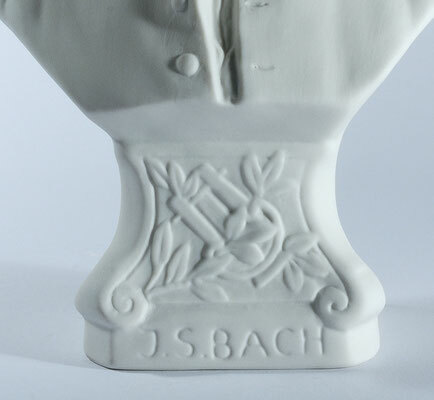 We have researched and researched and have decided for the four most impressing and beautiful in each size. 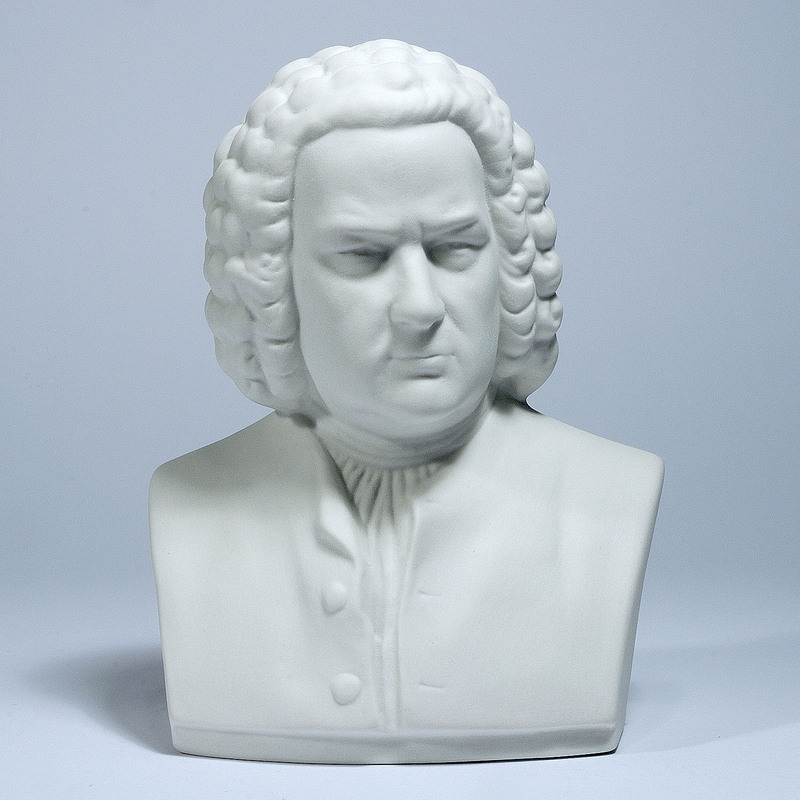 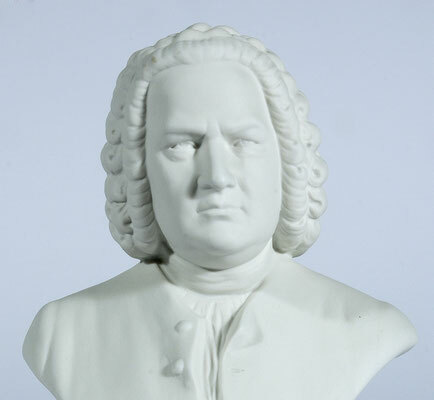 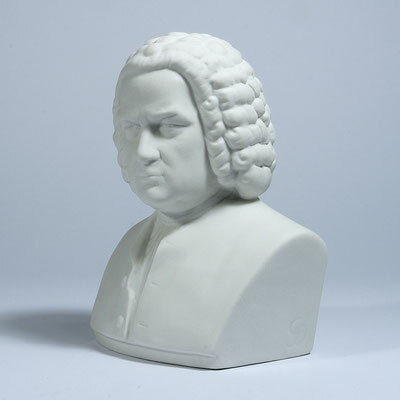 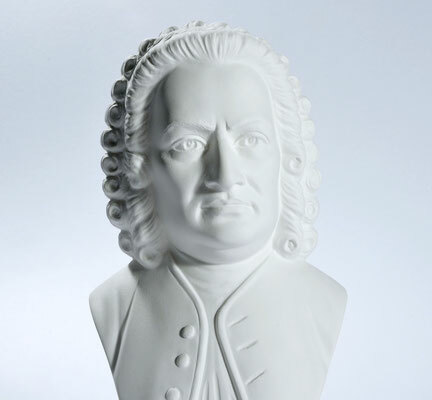 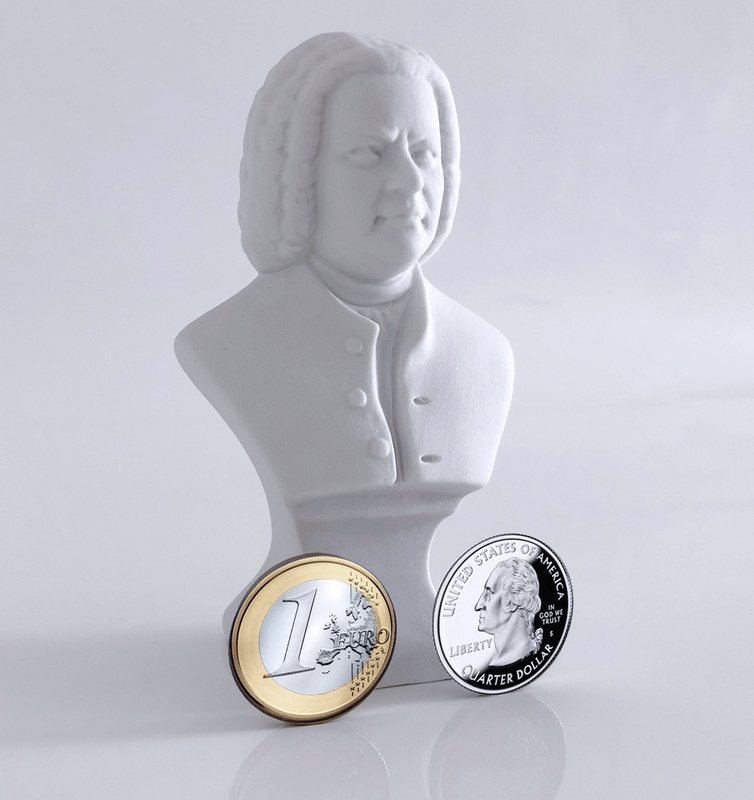 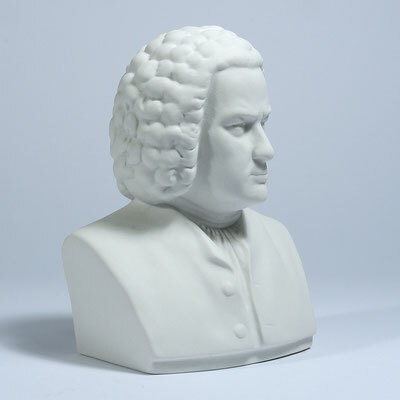 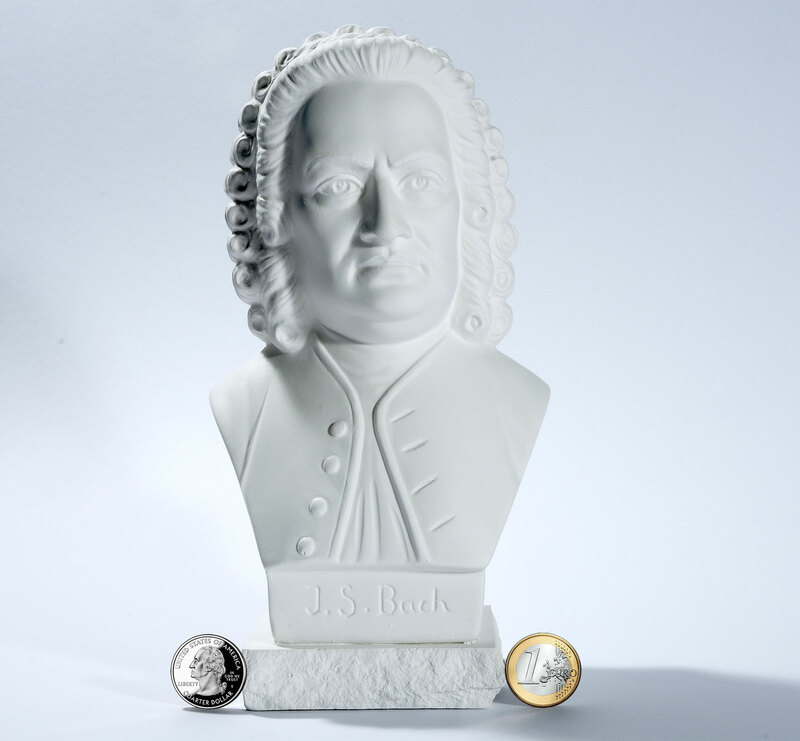 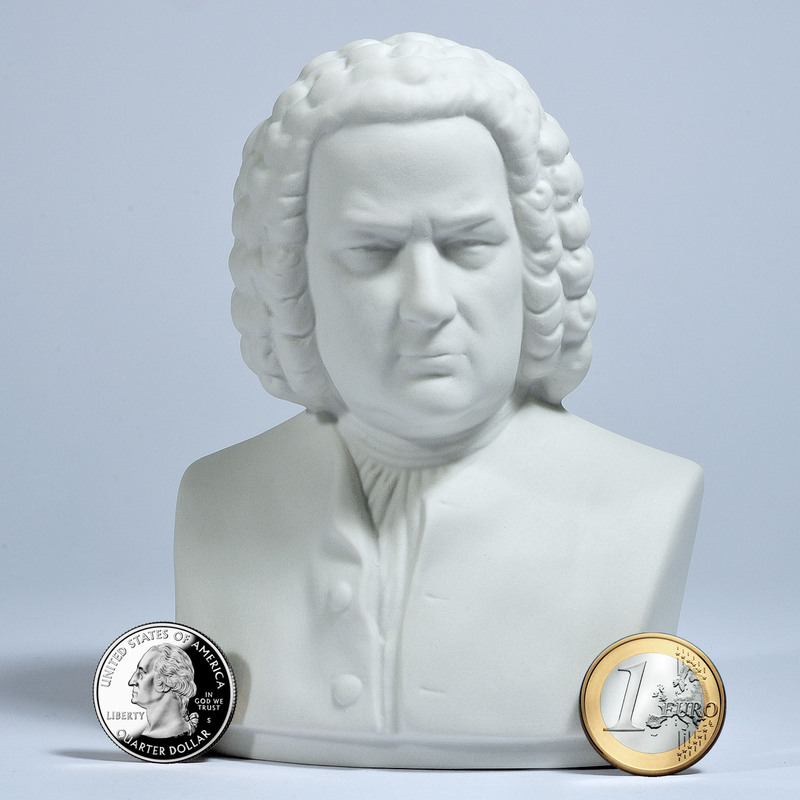 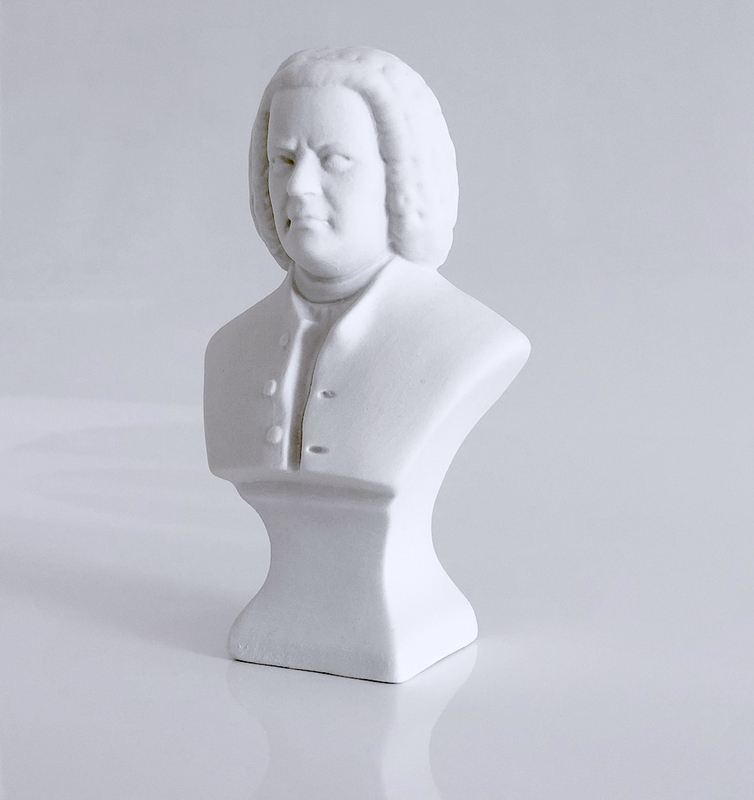 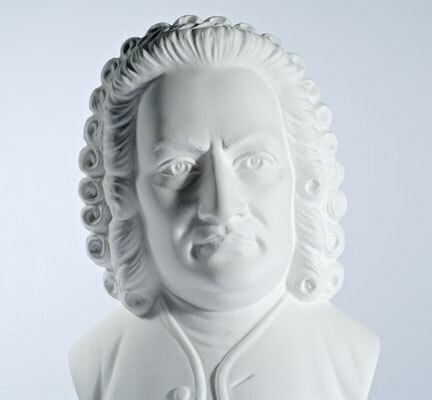 With a lot of effort and time we have photographed them real big and three-dimensional for you – the Bach bust from gypsum and the Bach busts from bisque porcelain – so that you may discover every detail and – with the Euro coin and the US quarter – you have an imagination, how decorative “our Bach” appears at the perfect place in your home. 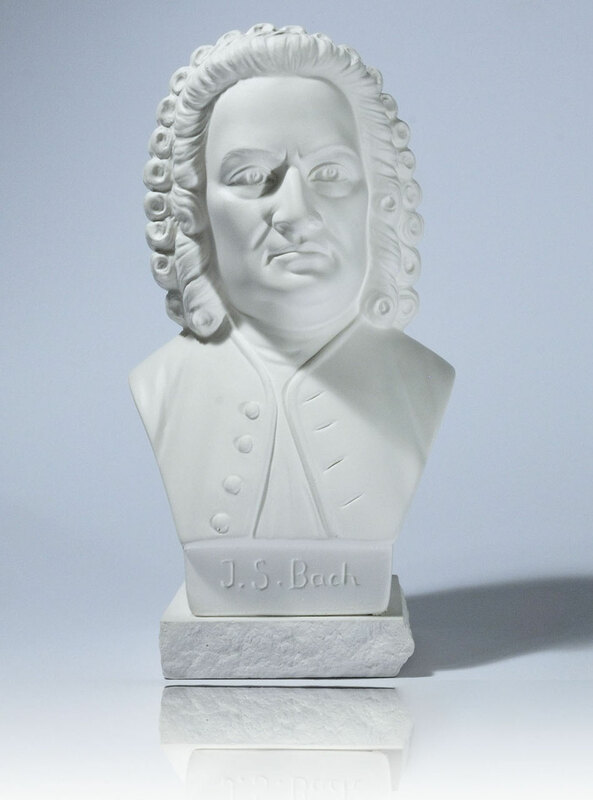 Because either you give that bust, instead of a bottle of wine or a flower bouquet, when you visit your friends next time, or your parents. Or you grant the super composer from Germany a place of honor in your home. 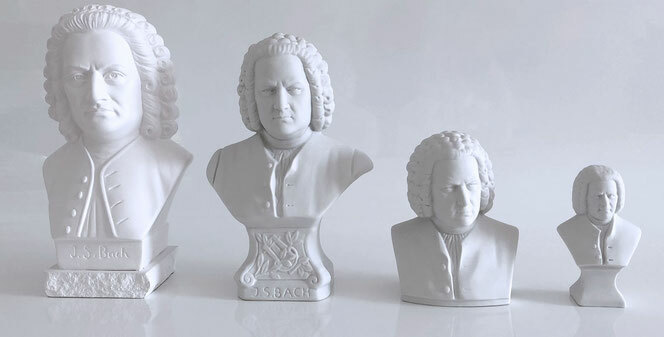 Our Bach bust 1, our Bach bust 2 and our Bach bust 3. 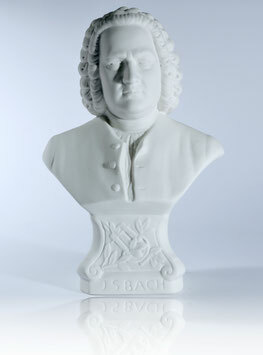 Much, really much later we found a Bach bust 4. Three of them come with 2 gifts*. 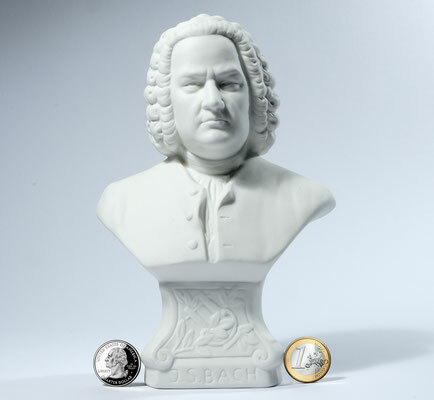 * * ... please don't choose 2 Bach Busts. 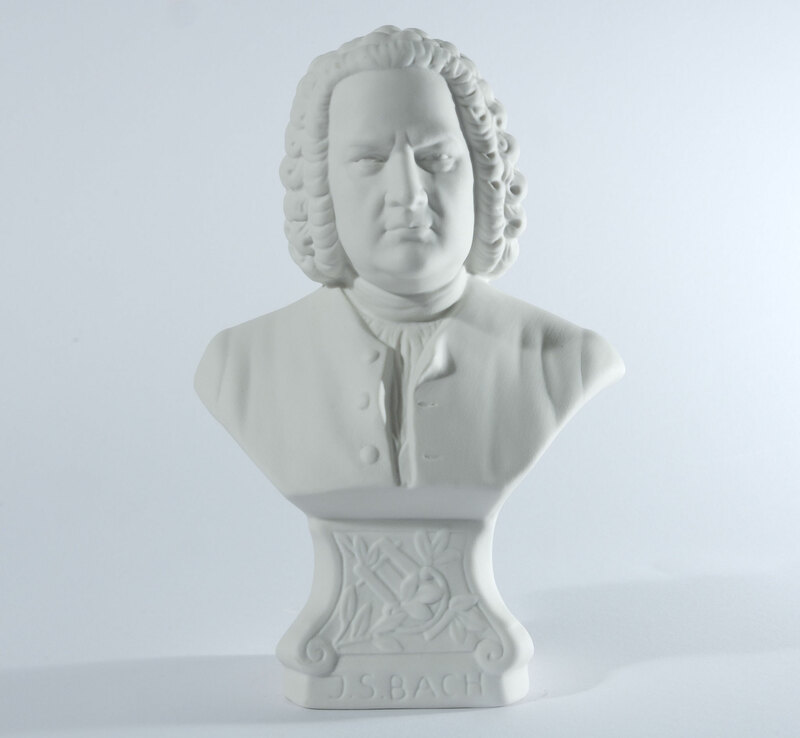 IMPORTANT: The Necrology from 1750, the Bach Tributes Medley and the "Bach Biography for Children" are right now only available in the German version. 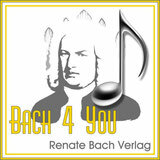 The English version will be available in summer of the year 2020. 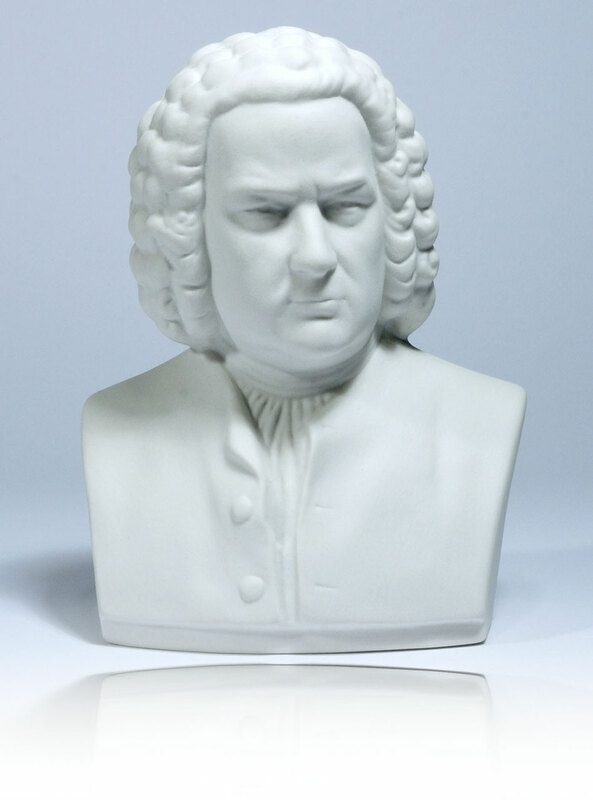 Until then, please choose between the Bach Coloring Book, the small Bach Bust and the 16.800 Bach music sheets. Or you decide for the not yet ready items, you get them as soon as they are ready, this might take even longer until summer 2020.